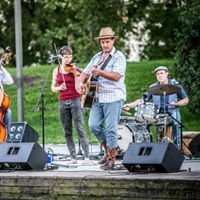 Root River Jam is a cross genre "Americana" group based in southeast Minnesota. Their original music includes styles from folk, country, rock, blues, celtic, and jazz improv ! The group released their debut CD in March 2017. They perform the original music of guitarist and front man Dave Wilson, as well as covers of Americana classics.